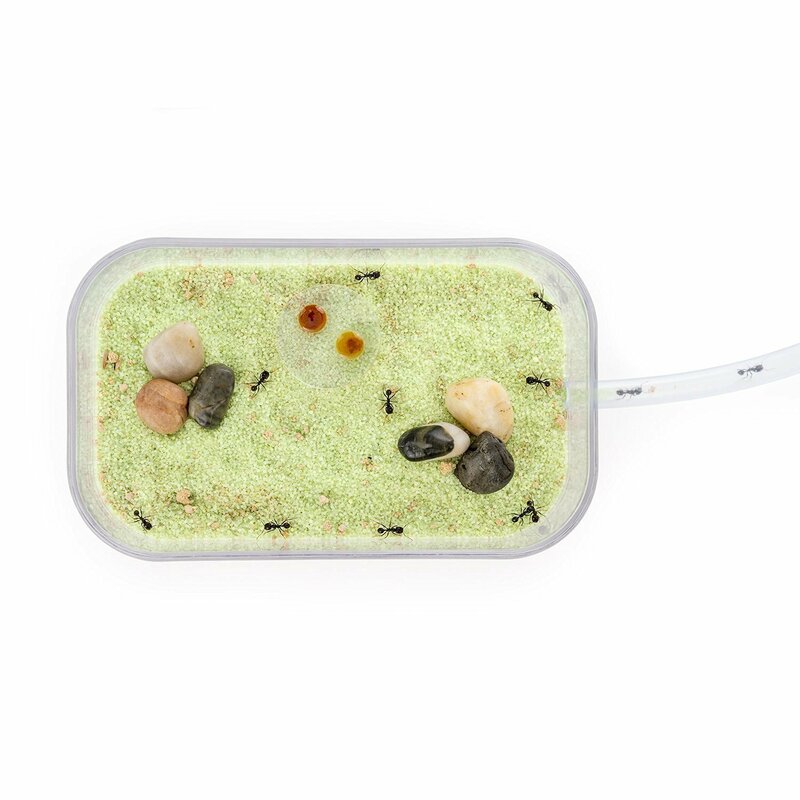 Basic Ant Farm Formicarium for raising an ant colony. 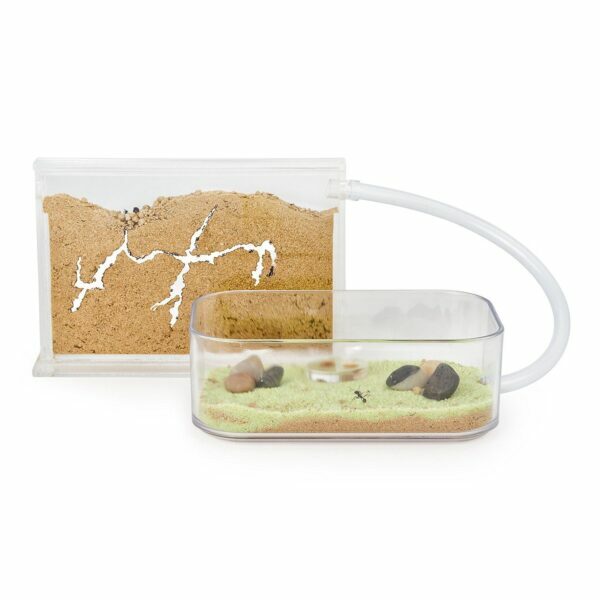 Everything you need to start keeping ants as pets. 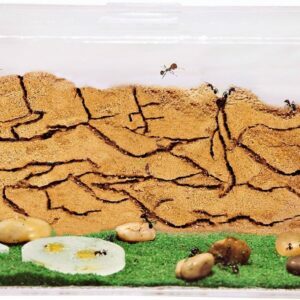 Ant colony comes in a test tube setup with food and water. Ready to move into the Formicarium. The Basic ant farm is a flat standing acrylic ant farm with a foraging area. The flat area is connected up to the foraging area via clear tubing. The foraging area is used for feeding your ants and a great way for your ants to dump rubbish. 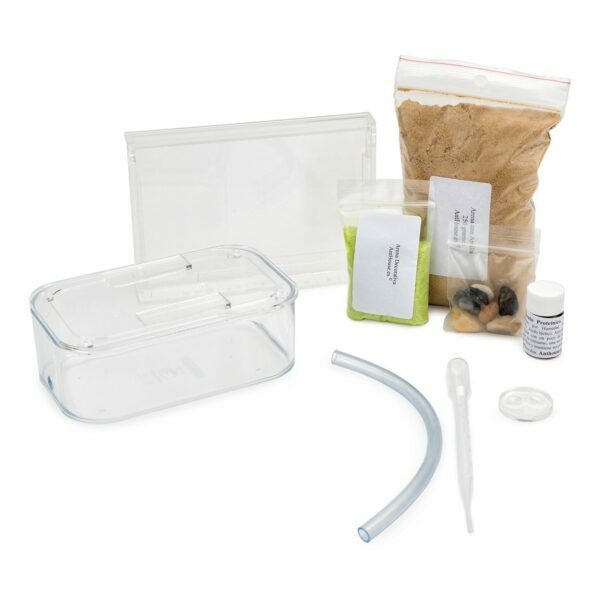 You will receive your free ant colony in a test tube with water and food to last up to 3 weeks. They are born and raised in the test tube setup so they are very used to it. 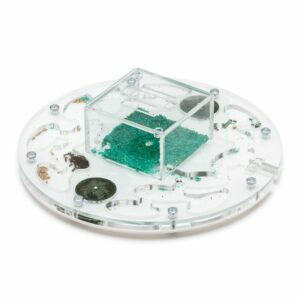 1x Basic Acrylic Ant Farm 15 x 10 x1 cm. 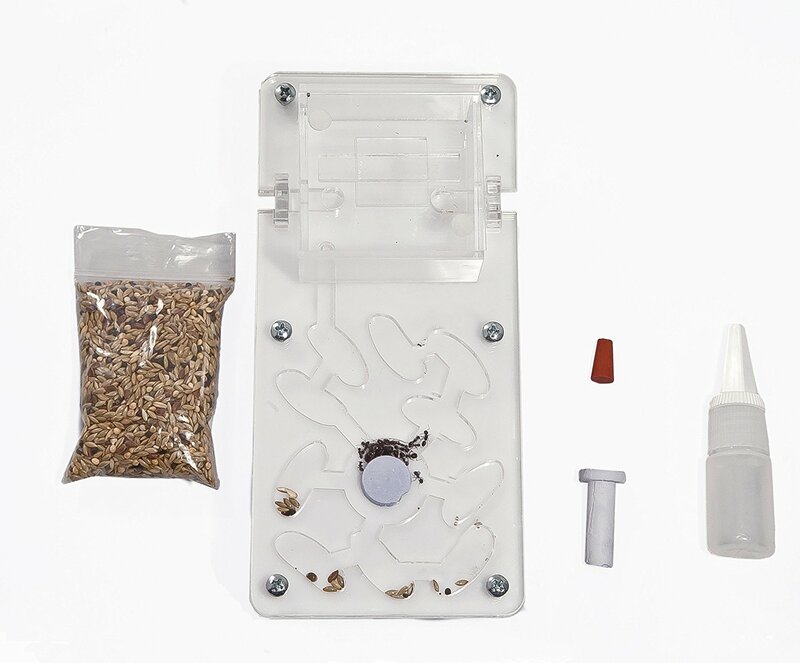 1x 18 x 10 x 5cm Foraging Area with a secure lid. Comes complete with Queen, Worker ants and Eggs. 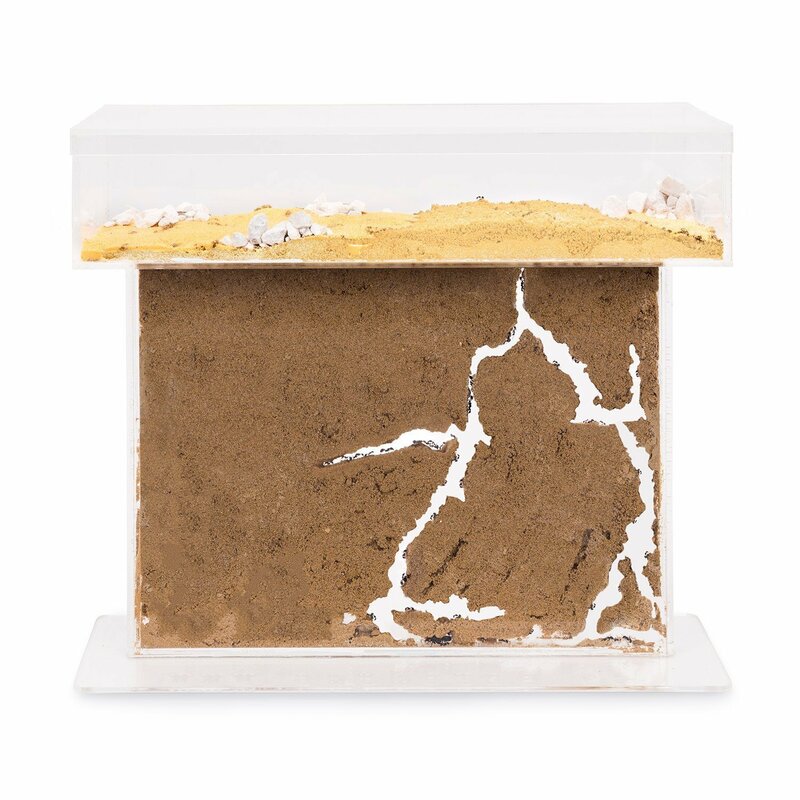 1x 250g Mixed Clay/Sand for the Ant Farm. 1x 50g Stone granules for decorating the Foraging area. 1x 50g Sand used for decoration.